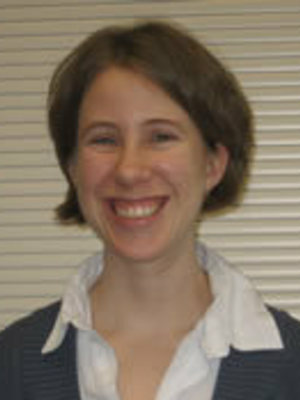 Julie Hupp is an assistant professor at the Newark campus of The Ohio State University. She attended Wake Forest University for her undergraduate studies and University of Toledo for her graduate studies, earning her B.A. in 1999, her M.A. in 2002, and her Ph.D. in Developmental Psychology in 2003. After her graduate studies, she completed a postdoctoral research position at Ohio State University’s Center for Cognitive Science. At the Newark campus, Dr. Hupp teaches Introductory Psychology as well as several courses in Development (Child, Adolescence, Lifespan). Dr. Hupp’s research program centers on how children focus their attention in linguistic contexts. She is interested in how this attention changes with development and how it is used in processing language. For example, when a child hears a particular class of word (e.g., verb) paired with visual information (e.g., moving object), to what do they attend (e.g., motion, shape), and how does this relate to their word learning? Adults should attend to the motion of a moving object when they hear a verb while children may or may not. Her Verb Learning and Shape Bias lines of research are examining attention to objects and motions in labeling situations, while her Inflectional Acquisition line of research is investigating how individuals are attending to the words themselves (e.g., beginning or end of the word). Questions such as whether children attend to the same parts of words as do adults, and what may be the mechanism involved in this directed attention are of interest. Dr. Hupp’s line of research focusing on Acoustic Dimensions examines whether children are attending to and using aspects of speech such as syntax (rules of language) and prosody (the way something is said) in similar ways as adults. For example, she investigates whether or not syntax and prosody play a role in children’s memory of linguistic information, and whether or not children use primed syntax or rate when producing their own speech. In general, Dr. Hupp’s research is centered on gaining insight into what cues children are attending to in their linguistic environment, and how this attention affects language acquisition. Hupp, J. M. (2008). Demonstration of the shape bias without label extension. Infant Behavior & Development, 31, 511-517. Hupp, J. M., & Jungers, M. K. (2009). Speech priming: An examination of rate and syntactic persistence in preschoolers. British Journal of Developmental Psychology, 27, 495-504. Hupp, J. M., Sloutsky, V. M., & Culicover, P. W. (2009). Evidence for a domain general mechanism underlying the suffixation preference in language. Language and Cognitive Processes, 24, 876-909. Jungers, M. K., & Hupp, J. M. (2009). Speech priming: Evidence for rate persistence in unscripted speech. Language and Cognitive Processes, 24, 611-624. Poling, D. A., & Hupp, J. M. (2009). Active learning through role playing: Virtual babies in a child development course. College Teaching, 57, 221-228.